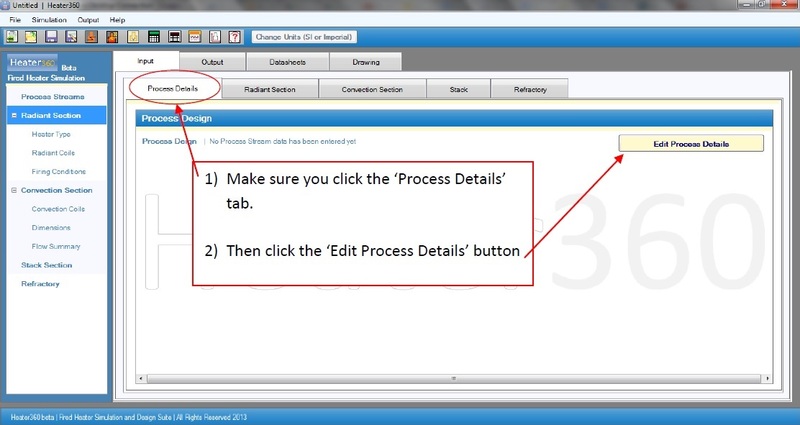 1) Make sure you click the ‘Process Details’ tab. 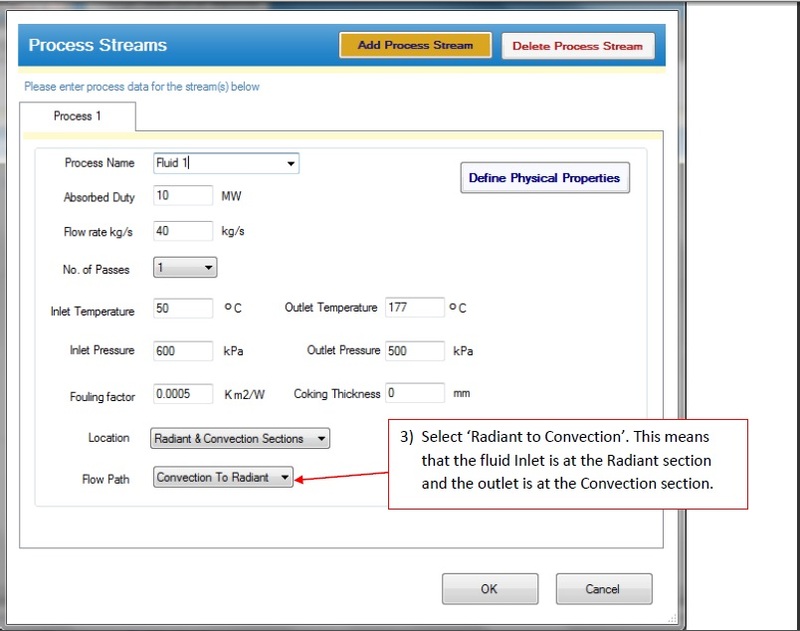 3) Select ‘Radiant to Convection’. This means that the fluid Inlet is at the Radiant section and the outlet is at the Convection section. 4) Then click the ‘Convection Section’ tab. 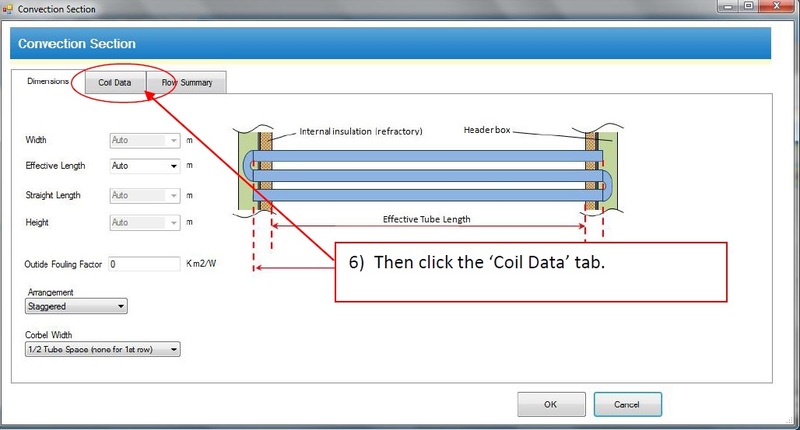 6) Then click the ‘Coil Data’ tab. 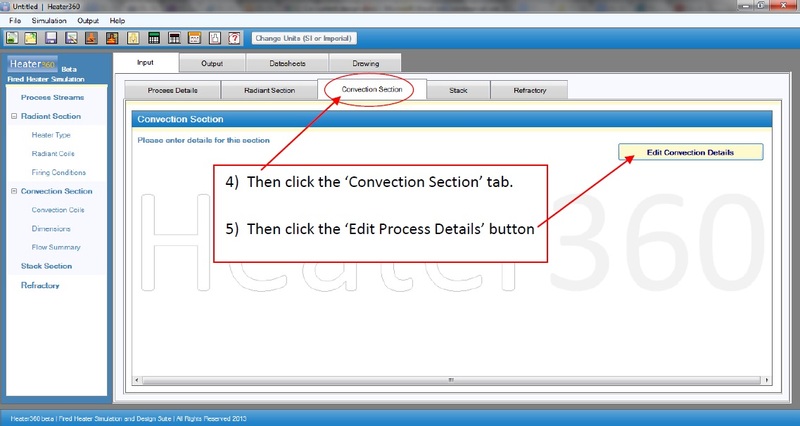 7) Select ‘Co-current’ from the drop down option as shown above. This means that for the process fluid will flow co-currently between the rows of this section.